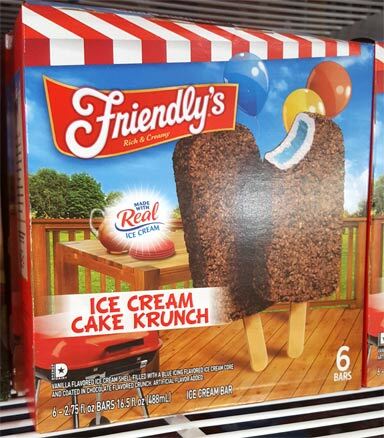 [2018 Update] Apparently Friendly's tweaked the construction of these bars. I walked by them in Market Basket and something in the back of my brain went "something ain't right here". Looks like they've ditched the side by side tech and gone with the old school one flavor around the other tech (like an old school chocolate eclair ice cream bar). Original review is after the break but I did buy a box and they taste similar (aka still disappointing in the sense that they should be better). 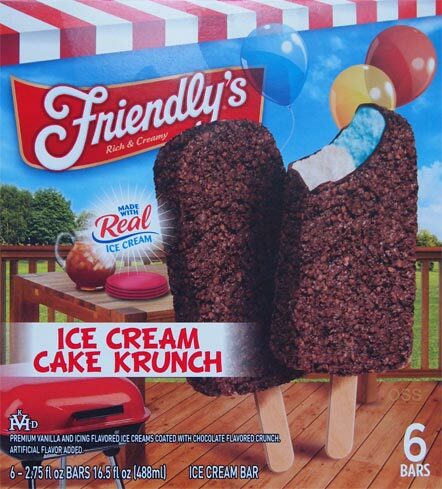 [New for 2014] Friendly's went all out with their great novel idea of flavoring things like an ice cream cake. It's a classic flavor we all know and now it comes in a variety of form factors. 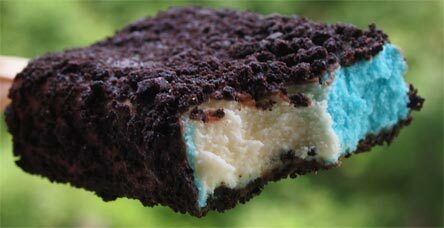 You can get it in a cake, as an ice cream, in a celebration roll, and now, you can get it as an ice cream bar. How could I possibly say no to these? If you know me, then you know that I totally over-hyped these in my brain. I do like them, but I don't love and adore them like I thought I would. I guess I wanted that same bright flavor I got from the ice cream version but it's not here. It's more mild than that. It's fun, but not crazy fun. What would help? More crunchies of course! But I can't really add those.... but I can add waffles! That's right, I like these bars but when you put them between a set of Eggo Wafflers, mmmmmm, heavenly. I'm shocked how well this combo works. Good times! That waffle sandwich looks amazing. Woah. Just wanted to say that I love the way Dubba writes his reviews! Great to read! 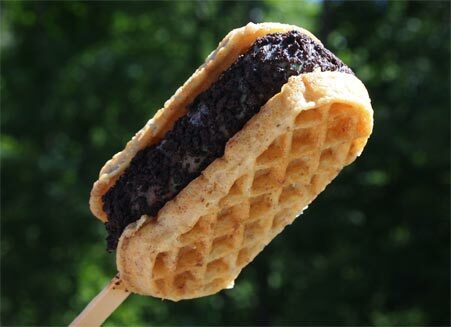 Yum, a wafflewhich! I always enjoy your creativity. How did you think these compared to the Good Humor brand? I always buy theirs out of habit.